3 Steps Closer to Fun! Watercraft are the largest source for spreading aquatic invasive species (AIS) into new waterways. Mandatory inspections stop aquatic invasive species, such as quagga mussels, BEFORE they enter the water. Please do your part to protect Lake Tahoe and plan ahead for mandatory boat inspections. Invasive species have devastating environmental and economic impacts on industries, communities, and native species populations. Most invasive species do not have predators to keep their populations in balance and, once introduced, are difficult if not impossible to eradicate. What is AIS? Read more here! 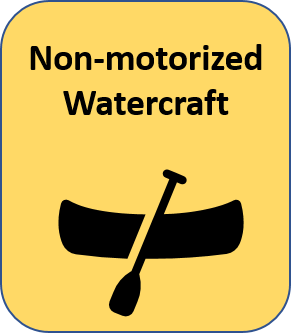 Watercraft, are the largest source for spreading aquatic invasive species (AIS) into new waterways. Mandatory inspections stop aquatic invasive species, such as quagga mussels, BEFORE they enter the water. Please do your part to protect Lake Tahoe and plan ahead for mandatory boat inspections. Invasive species have devastating environmental and economic impacts on industries, communities, and native species populations. Most invasive species do not have predators to keep their populations in balance and, once introduced, are difficult if not impossible to eradicate.